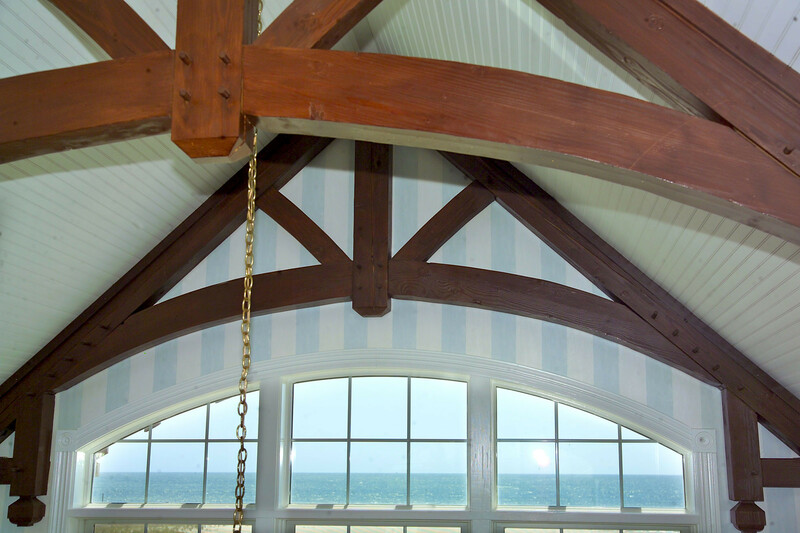 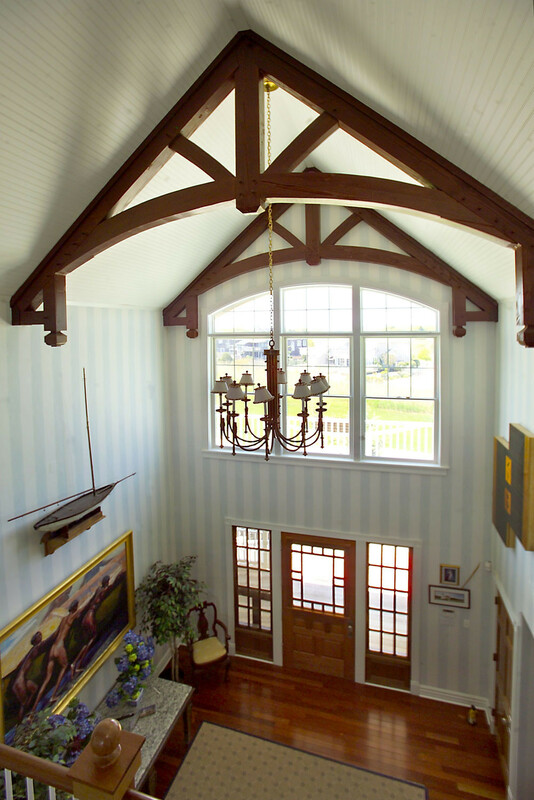 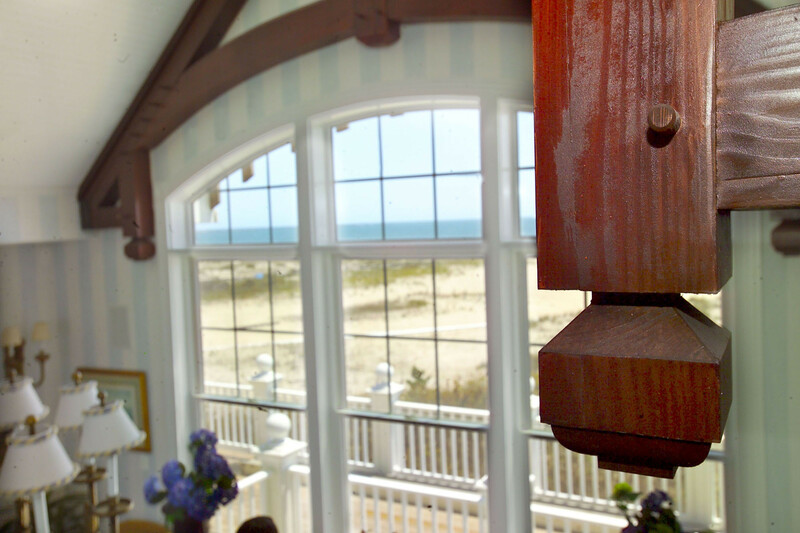 Heavy timber Douglas Fir roof trusses provide the structural integrity for a two-story space in a Cape May, N.J., beach house. 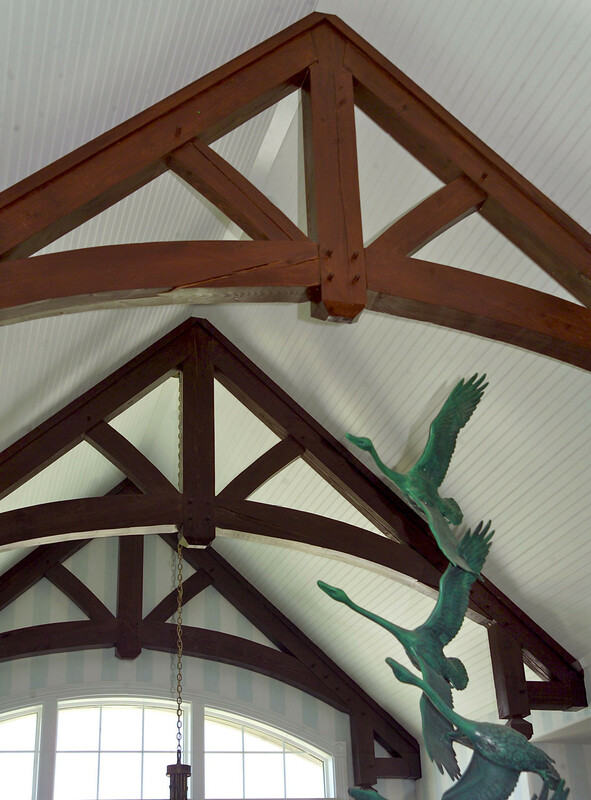 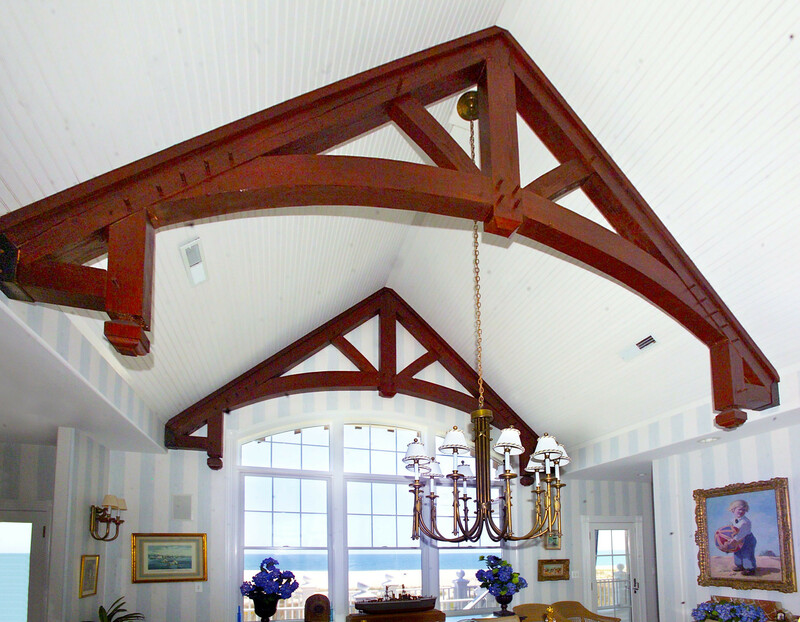 The modified king trusses were stained dark brown to contrast against the white bead-board ceiling. 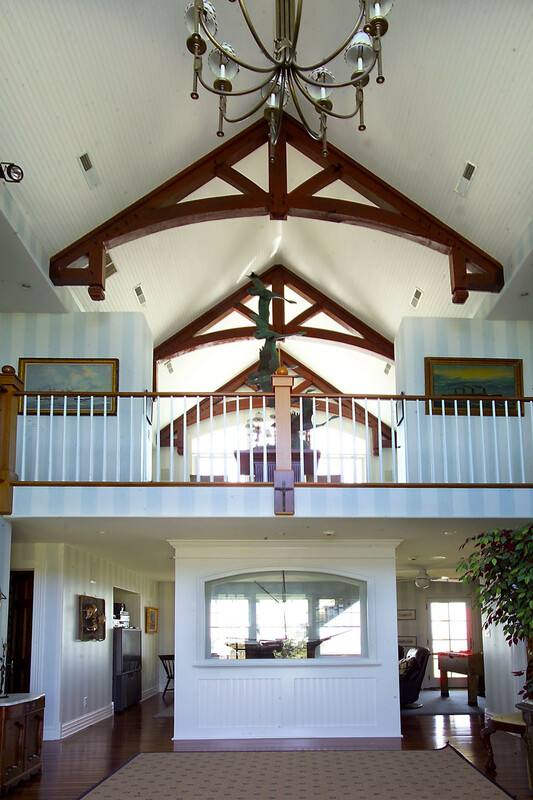 The timber-framed truss system runs front to back in the house, allowing for broad expanses of windows overlooking the ocean.